Most of my friends and family, I think, understand why I do what I do, but I suspect that a few of them might take issue with my choice of subjects. It’s not that television itself is inherently unworthy: I think everyone is on board with the fact that Deadwood is worthy of serious attention, most people accept that Game of Thrones is well worth my time, and way too many people have asked me when I’m going to get around to doing The Wire. But I wouldn’t put so much work into Doctor Who if I didn’t think it was worth the effort to unpack. (Torchwood, for example, turned out not to be worth the effort, and so I stopped.) I don’t have a pat definition of “art,” but if I did I suspect it would be something like this: Art is anything created by humans that means more than it appears to mean. Entertainment that is not art tends to get smaller and less important the more you look at it, but real works of art expand with close examination, yielding endless rewards that are not immediately apparent on a casual viewing. Art—if you’ll pardon the all-too-obvious joke—is bigger on the inside. The point—which it has only taken me four paragraphs to get to—is that I am convinced that Doctor Who is, by my fumbling definition, art, and therefore worthy of serious explication. 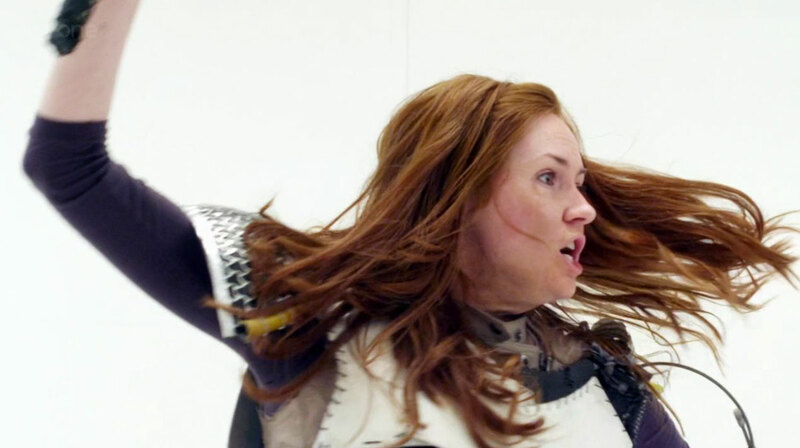 And if I felt the need to defend this belief against my hypothetical doubters, I might very well start with Tom MacRae’s extraordinarily complex and stunningly mature episode, “The Girl Who Waited,” directed by Nick Hurran. Thematically rich, emotionally powerful, and layered with hidden meaning, this is an hour of television that works as a stand-alone adventure, and as one of the most important watersheds in the ongoing story. 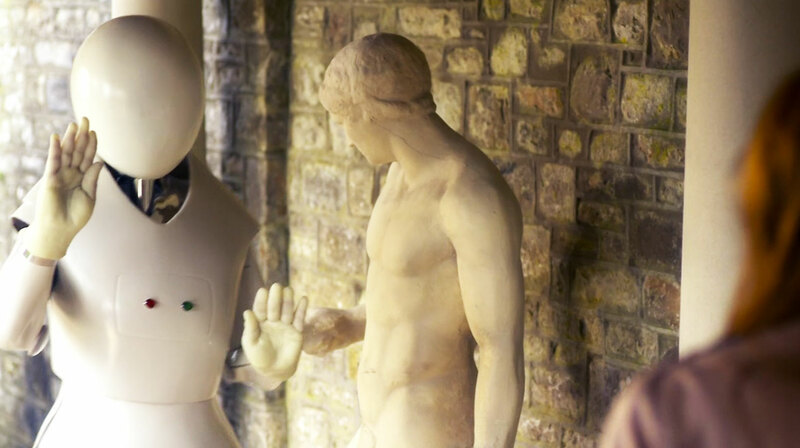 Make no mistake, “The Girl Who Waited” is essential Doctor Who, and its themes echo and ripple throughout the past and future of this entire franchise in dark and troubling ways. Let’s dispense rather quickly with the set-up: the Doctor (Matt Smith), Amy (Karen Gillan), and Rory arrive on a resort planet called Apalapucia. Unfortunately, the Doctor—with his usual arrogant recklessness—neglected to consult a history book before landing—“That is not how I travel!”—and thus is unaware of the fact that Apalapucia is currently under quarantine for a deadly plague. The TARDIS has landed in the “Two Streams” facility, where patients are quarantined in one time stream, while their loved ones can observe them living out their lives from another. Through a simple mix-up of doorways—reminiscent of the opening of the 1975 story “The Ark in Space”—Amy is separated from her boys and ends up in the patient stream, where time moves faster. This is a lovely idea, though I confess I’m completely unclear on how it is supposed to work. Victims of the plague only live 24 hours, but the compressed time-stream allows them to live a lifetime in a single day? It’s one of those concepts that doesn’t bear a lot of scrutiny, and I’ve no doubt it will irritate the more pedantic fans, but no matter: it exists simply to create a situation that does work—brilliantly—on a number of metaphoric and emotional levels. And, just like life in the TARDIS, there are dangers. The Handbots, for example, are a constant threat—but always with the best intentions. “Do not be alarmed,” they say. 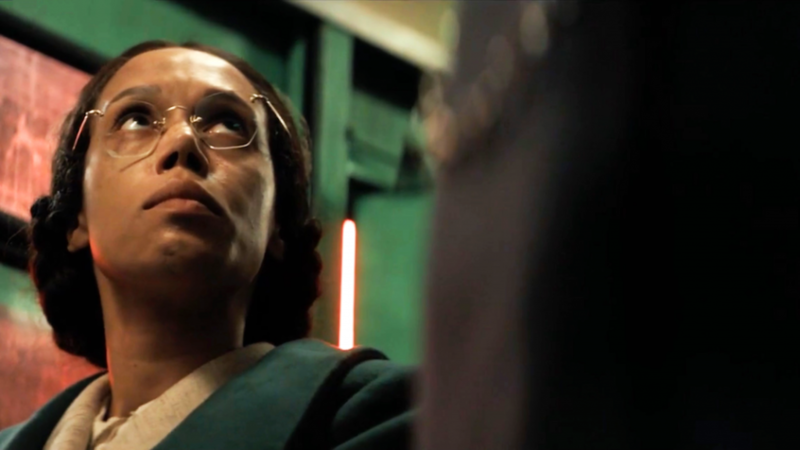 “This is a kindness.” They are medical droids: they are, fundamentally, doctors, but they don’t understand that Amy is human, and that their kindness will destroy her. How can they understand? They are not human, and they have no eyes. Amy’s Doctor, too, has the best of intentions. “Trust me,” he has said, time and again. “I’m the Doctor.” But he is not human either: he is two-hearted, like the Apalucians, and he can never truly understand what life is like for the humans he absconds with. Significantly, in this episode, he has no eyes either, and must—through his camera glasses—see through the eyes of his human companions. In my discussion of “A Good Man Goes to War,” I talked about how the word doctor has become perverted, as the Doctor’s reckless actions have given it other meanings: warrior, trickster, god. 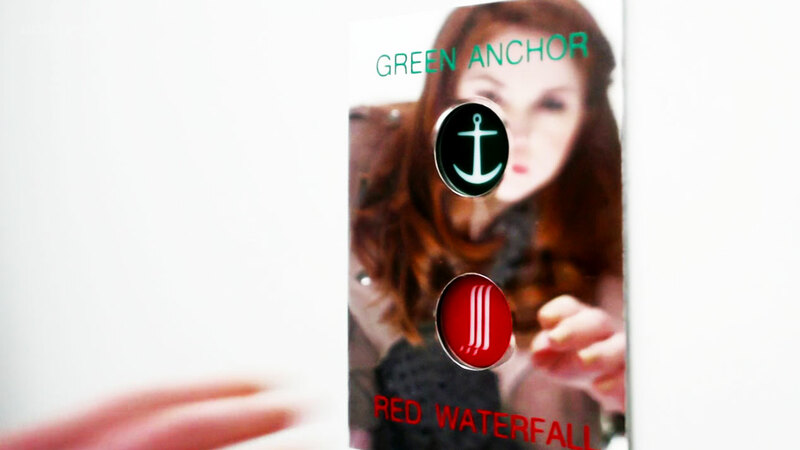 The word doctor has become something to be feared, as it is in the Two Streams facility, as it was in the (more thematically-relevant than it appeared) “Curse of the Black Spot.” The story arc that has run throughout this entire series is the River Song/Melody Pond mystery, and the question of the Doctor’s death. 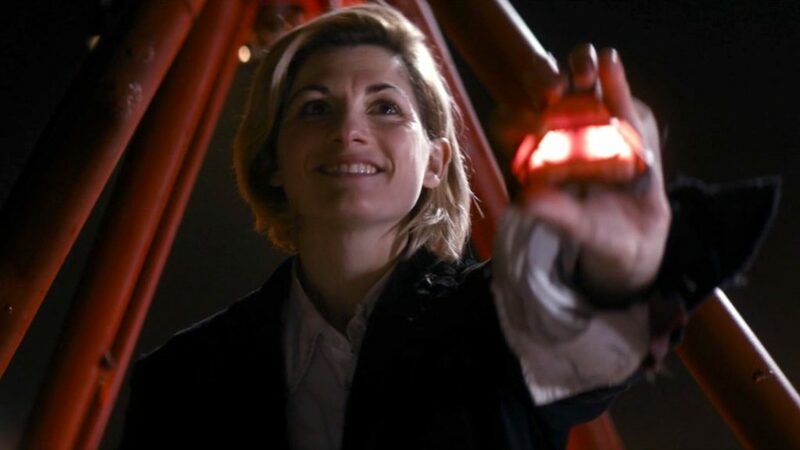 The thematic arc, however, is darker: it is the Doctor’s gradual, growing realization of the consequences of his actions on the people he loves. “There must be someone left in the universe I haven’t screwed up yet,” the Doctor said, just two episodes ago. But there isn’t. 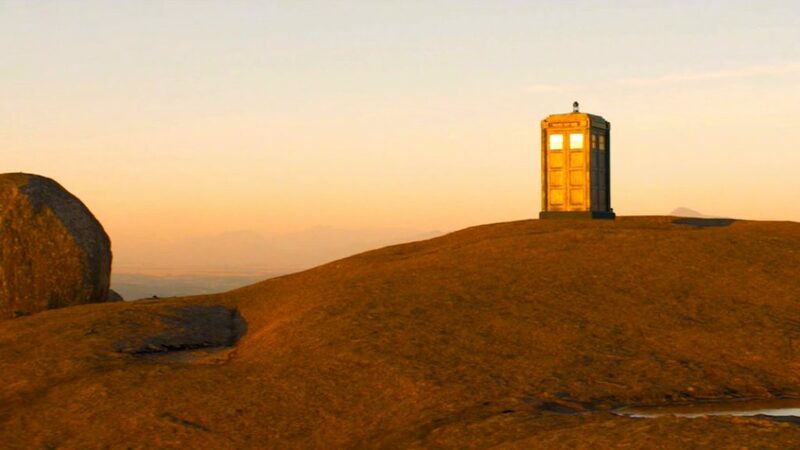 In my very first post on Doctor Who, I discussed the fact that, in 48 years, no companion has ever been allowed to have a normal life and travel with the Doctor: you can have one or the other, but not both. At the time I thought Steven Moffat was challenging that assumption, by having Amy continue her journey with the Doctor after the moment—her wedding—when most other companions would be written off the show. 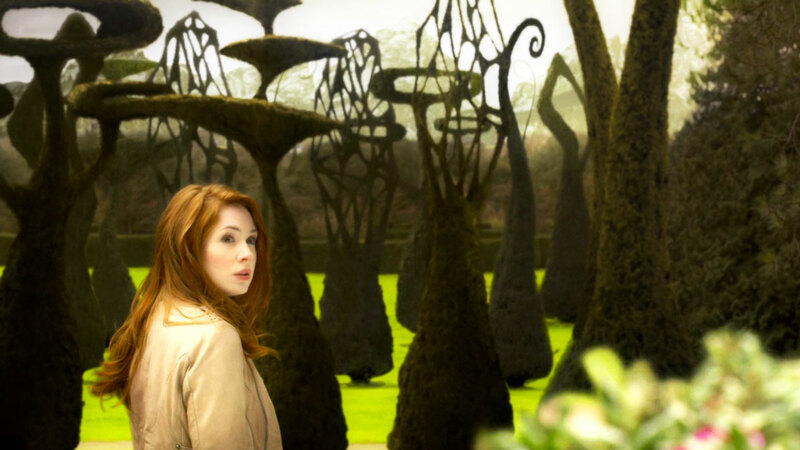 But this season has been an ongoing exploration of why the Doctor leaves companions behind, continuing themes that were introduced in last season’s “Amy’s Choice.” “You being here is wrong, for a single day, an hour, let alone a lifetime,” Rory says to Future Amy, and this episode could easily be called “Rory’s Choice.” For, forced to choose which wife he wants, he is forced to recognize what life with the Doctor will mean. It means being cut off from normal life. It means an existence of constant danger, constant struggle, constant sacrifice. If they stay, will the 58-year old Amy be any different from the bitter, resentful warrior he meets here? Amy spent fourteen years of her life waiting for the Doctor to return, Rory spent 2,000 years alone guarding Amy, and this season the two of them have effectively lost their child to the dangers of life in the TARDIS. Though those losses are not mentioned here, their emotional impact pervades every scene of “The Girl Who Waited.” “I hate the Doctor,” Future Amy says, and the Doctor hears her because he is seeing—for the first time—through human eyes. (He is seeing through the eyes of Rory, the everyman, the somewhat reluctant traveler, the most human of his human companions.) “This is your fault,” Rory screams at the Doctor, and tells him “I do not want to travel with you anymore.” And he’s right, and the Doctor knows it: Amy and Rory should not be here any longer. The Doctor promises adventures and wonderlands, a never-ending waterfall of excitement—but the price of admission is that you must sacrifice your normal life. He has the best of intentions, but they paved the way to the hell Future Amy has lived. The Doctor is unfailingly kind, but kindness can kill. He’s a “blue-box man, flying through time and space on whimsy,” but he leaves innocent lives altered and corrupted and destroyed in his wake. Amy and Rory love each other deeply, but their love is being tested in a way no couple’s love should ever be. There comes a time when you have to live an actual life, stable and solid and real: there comes a time when you have to choose the security of an anchor over the ever-changing excitement of a waterfall. This is not a silly children’s program. This is sophisticated storytelling, mature and provocative and powerful. This is an incredible example of what science fiction can do, and a stunning demonstration of the artistic heights to which this show can rise. Arthur Darvill and Matt Smith, too, are wonderful here. Darvill—for the first time—gets some emotional high-notes to hit, and proves he’s capable of so much more than we’ve seen before. Smith, with less to do, does the hell out of it, conveying with tiny, painful looks the ways in which all of these hard truths are sinking in for him. If I understand correctly how the episodes were re-ordered this season, last week’s episode (“Night Terrors”) was originally planned to fall as Episode Three, where the cuckoo-in-the-nest storyline would have nicely foreshadowed Amy’s slightly-other-worldly pregnancy. And “Curse of the Black Spot” would have preceded this episode, where it would have reinforced the “doctor-as-danger” theme from “A Good Man Goes to War” and this episode. It’s a shame they moved them. Karen Gillan has confirmed that she, at least, will be back next series. That may be true, but—unless I’m totally misreading the thematic sign-posts—I’m not seeing how Amy or Rory can be companions next year. Everything says that, for their own sakes, their journeys with the Doctor must come to an end. Hello, this is Fabio from Italy. Finally I saw “The girl who waited” and read your review. I don’t need to see anything else from this incredible tv series, and I don’t need to read any other reviews to understand how much wonderful and powerful and heartbreaking has been this episode. But what the hell is became Doctor Who? Is someone still thinking that this is a silly sci fi children’s program?? You use a single and perfect word to describe it, and sorry but I have to steal and use your word for my very simple review: it’s pure art. Thank you Amy (and Karen) and Rory (and Arthur) for being what they are now: the Ponds are legends more than ever and their history is a myth to transmit for future whovians generations. 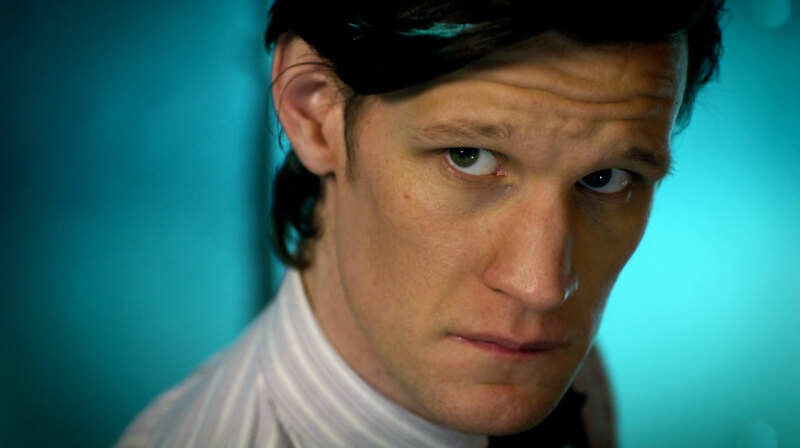 The doctor is amazing as always but this hasn’t been a DW episode, cause it has been a Ponds episode, incredible but I didn’t want to see Matt Smith on the screen, I wanted only to see Amy and Rory and their amazing love story … and when Amy picks up her lipstick, I’m simply dead. This is officially my best episode ever, and I’m quite sick about telling this sentence almost every week, but in every new episode of this incredible sixth series they are so surprising me! The girl who waited: love (inside your “art” quote). Like Beatles had their White Album, I have my white DW episode now.